Ledgestone is a very classic look that unfortunately has trended into an interior design rut of late if the home improvement and décor sites of the Internet are any indication. Glamour photo after architectural spread sees the use of this style being pigeonholed into fireplace surrounds and accent walls when it can be used for so much more. Ledgestone, particularly in Denver, can be liberated from the interior design niches that have trapped it. If you have a client who likes the look of ledgestone, but who also wants to break the recent mold of how it is being utilized, here are some breakaway ideas. 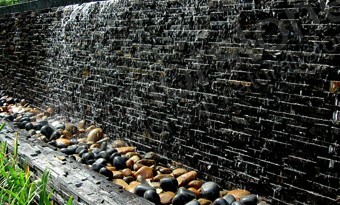 Ledgestone, with its hand assembled dry stack look, is a natural for contrasting with flowing water. Properly sealed against infiltration, ledgestone, especially in slate, is non-porous enough to last a lifetime in a wet environ. In a shower or waterfall area lit from multiple sources, ledgestone shows highlights and casts intriguing shadows that always add to the visual interest of the space. Many people today prefer the modern and ultramodern kitchens that place a lot of emphasis on a stainless steel, quasi industrial look that evokes a high end restaurant’s work space. However, such a look is easily capable of appearing too functional and too sterile, leaving the viewer with a sense of all function and spartan styling. Ledgestone accents on the kitchen island, behind the stove, or along the public side of a breakfast bar brings in a timeless visual element that can soften the look of even the most sterile kitchen. Good interior design often contains elements of whimsy that delight guests anew every time they see the space. With its textured, rough-hewn look, ledgestone installed in the subterranean spaces of the home can leave one with the impression that the space is a cave like no other. If it seems too much visually or too much for the budget to finish out a basement in ledgestone, a smaller space, such as a wine cellar or a bar, can evoke the same subterranean sense, but on a smaller scale. 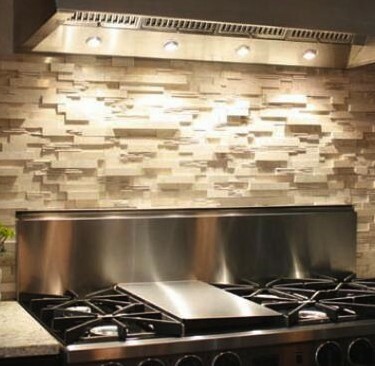 The designers with whom we work are experts in breaking the mold ledgestone finds itself in, and they know that good designs go hand in hand with quality materials; and PetraSlate carries the best selection of ledgestone in Denver. Contact us today to see what we can provide to your project.